Yes, Godiva Coffee again! But this time, it's Godiva's limited edition fall flavors: Pumpkin Spice and Caramel Pecan Bark. As I've mentioned before, I am not much of a coffee drinker. 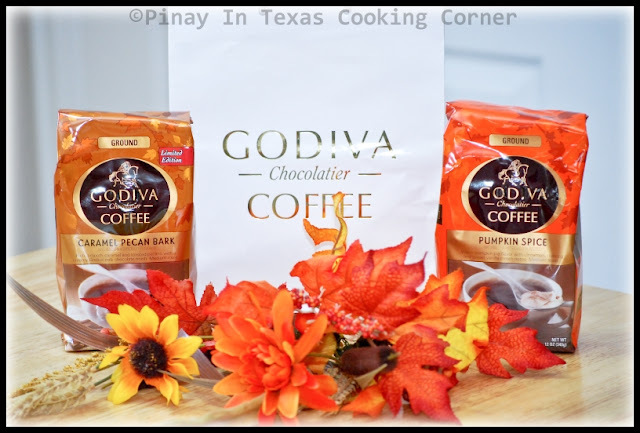 But the hubs is...and though he's not a flavored coffee person, he loves anything pumpkin and pecan so he was really so excited that I got this gift as part of Foodbuzz Tastemaker Program with Godiva. Ryan had tried both flavors and he said they are both good but he likes the Pumpkin Spice more. He really likes the combination of pumpkin, cinnamon and nutmeg flavors and finds it so perfect on a cool fall morning. Yesterday, I thought of giving myself the chance to experience how good it is. Not as a regular hot coffee drink though. 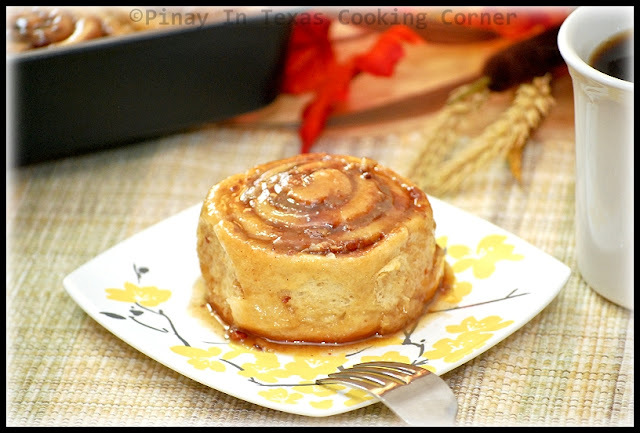 I made cinnamon rolls with it - Godiva Pumpkin Spice Coffee Flavored Cinnamon Rolls. Sounds good??? Well it doesn't only sound good, it tastes really good too! 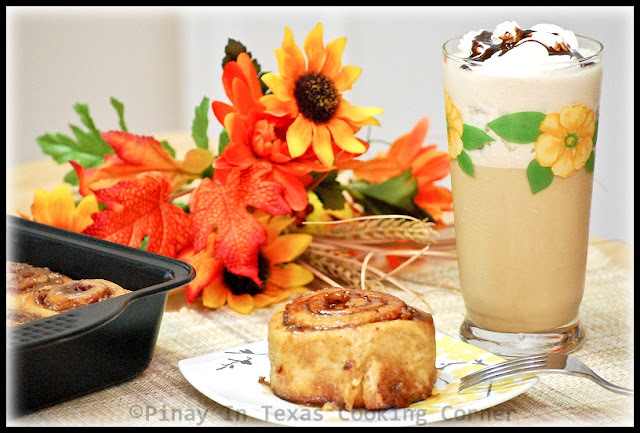 The flavor of Godiva Pumpkin Spice Coffee worked so well in cinnamon rolls...and we all love it! 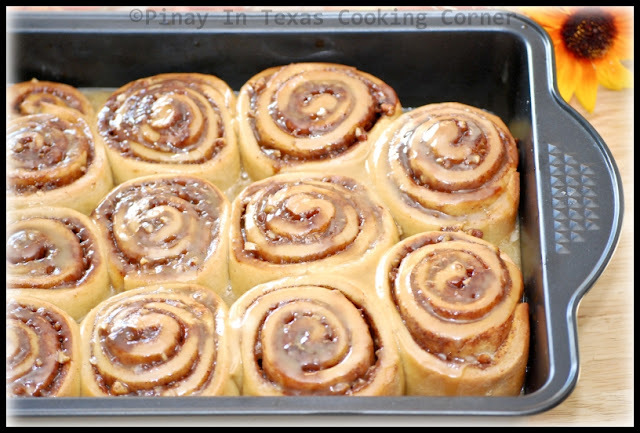 Immediately after these cinnamon rolls came out of the oven, Ryan had one roll with a cup of plain and strong Godiva Pumpkin Spice Coffee. The girls had it with hot chocolate. And me...Guess what I paired it with! I made myself this cold coffee treat...which is blended ¾ cup brewed Godiva Pumpkin Spice coffee, ¼ cup heavy whipping cream, 1/3 cup caramel syrup and 1 cup ice cubes, topped with cool whip & a little chocolate syrup. Hmmmm...it was so perfect with cinnamon roll! This morning, the girls and I each had another roll with a glass of hot milk. We really love it! 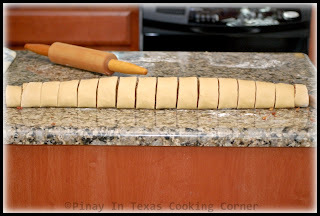 I'm definitely making these cinnamon rolls again! I better get some more packs of Godiva Pumpkin Spice Coffee before they're gone! If you want to try it for yourself, you can get $2 off Godiva Coffee coupons here. 1. 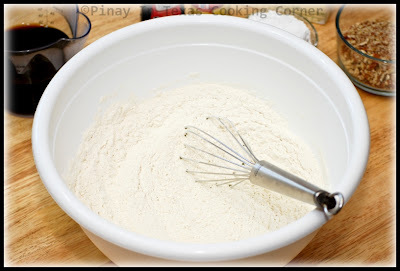 In a large mixing bowl, combine flour, yeast, sugar and salt. Mix well. Add cofee, milk, butter and egg. Mix until well combined. 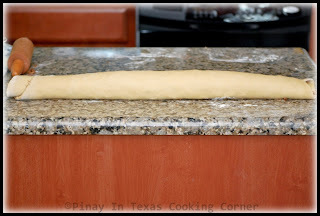 Knead dough on lightly floured surface for 5 to 10 minutes. 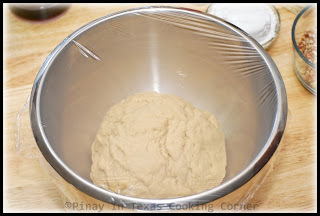 Place in well-greased bowl, cover and let rise until doubled in size, usually 1 to 1½ hours. 3. 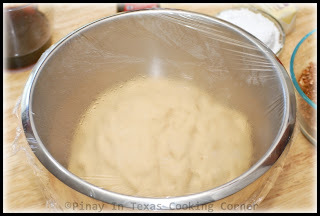 Lightly grease the bottom of 13 x 9 x 2 inch baking pan with butter then sprinkle with sugar. 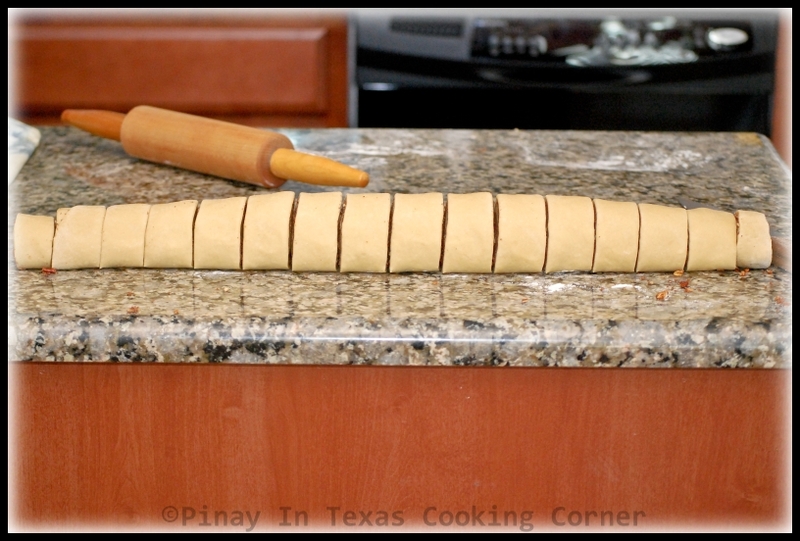 Arrange cinnamon roll slices close together in the pan and let rise until dough is doubled, about 30 minutes. 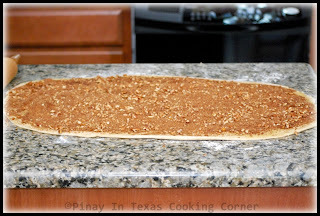 Preheat oven to 350 degrees F. Bake for 30 minutes or until nicely light brown. 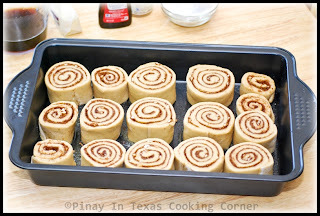 In the middle of baking brush cinnamon rolls with milk or cream. 4. 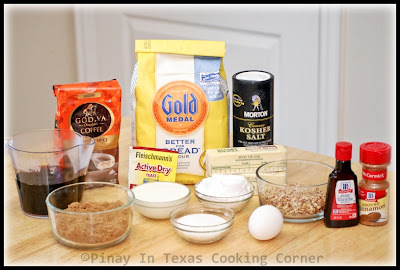 Meanwhile, mix butter, confectioner's sugar and vanilla in a bowl. 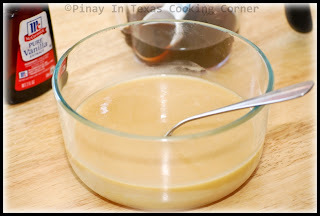 Add hot coffee 1 tbsp at a time until the glaze reaches desired consistency. 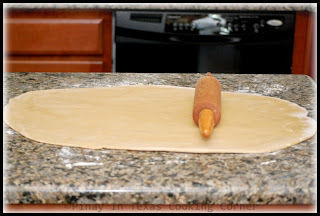 Spread over warm rolls. Serve. What a great idea!!! 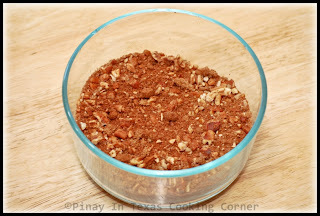 I love the taste of pumpkin and pecan, and am a coffee addict as well so these fit the bill in so many ways!! They would be great to bring to someone's house for brunch! Thanks for a great recipe!! Everything looks delicious! I've never had Godiva coffee altho I have had the chocolates before. I love my coffee! 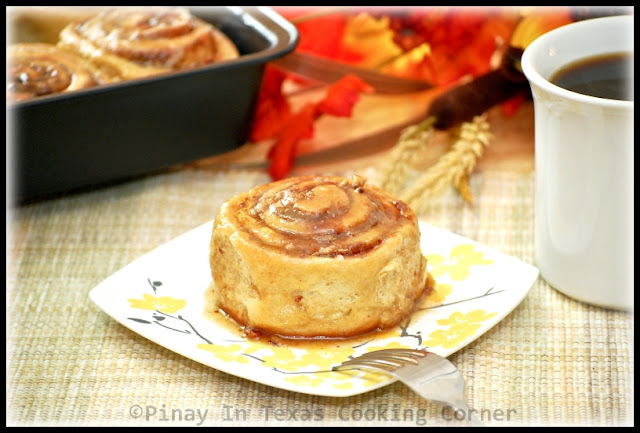 Just alone cinnamon rolls are amazing but add in espresso and pumpkin and WOW! Phenomenal idea! 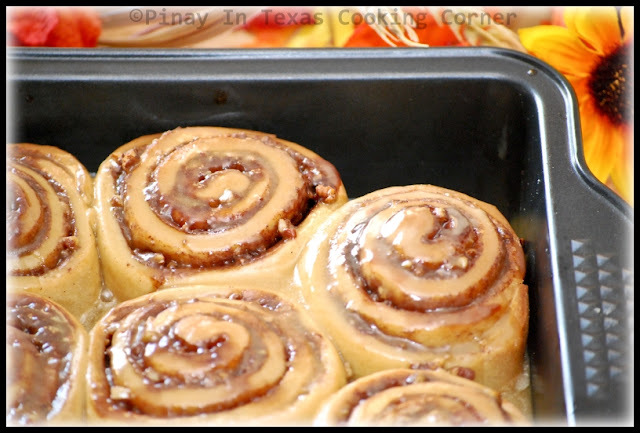 Tina , what could be more scrumptious than using Godiva coffee in that cinnamon rolls ? YUMMY !!!! I like both cinnamon rolls and coffee. I made oatmeal cookies though, but used only 2 tablespoon of coffee, so it doesn't have any coffee flavor after baking. I think I need to use more quantity. These are stunning. I love cinnamon rolls so much. These would be right up my hubs alley. 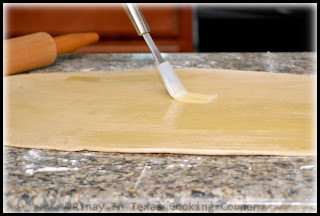 they look absolutely perfect and the filling sounds delicious! Back home these were my favourite rolls :) though I was buying them.. Really nicely done, Tina! 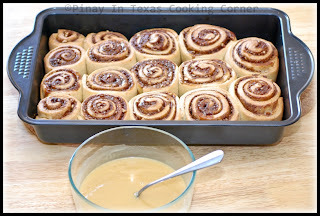 I am a sucker for any kind of cinnamon roll, but these sound especially delish! 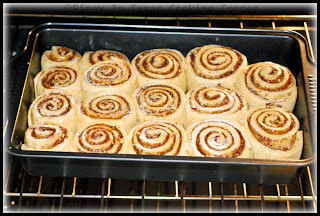 Tina, these cinnamon rolls are PERFECTLY rolled! I'm drooling as I type. 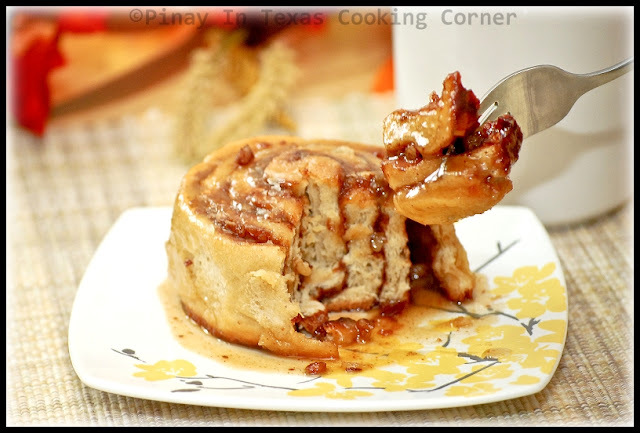 I love the idea of pumpkin with coffee in the cinnamon roll... much better than regular ones! Godiva will be very proud of this post! I'd love to have some!! Great outcome Tina and thumbs up for this.